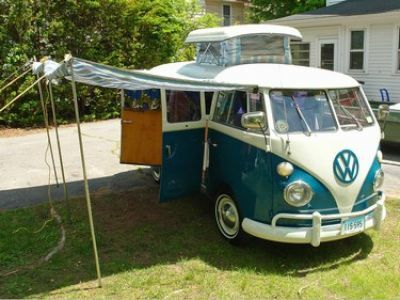 This is a Volkswagen Westfalia camper bus. It is in excellent mechanical condition. 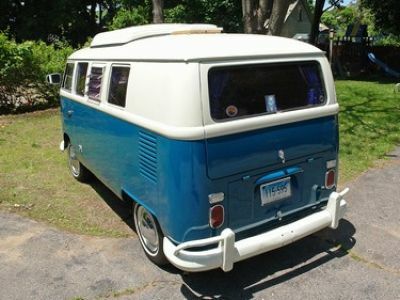 It has a recent paint job in the original white over blue. The interior is in good shape but not period correct. 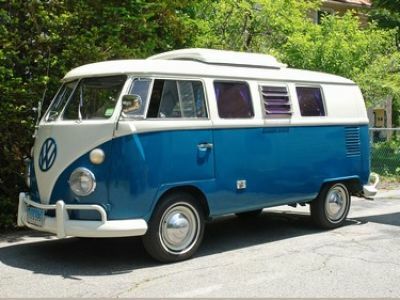 The upholstery was replaced in the 1980's with blue velour replacing the original brown vinyl.